MedPro Con$ulting – Outsource your Healthcare & Medical Accounts Receivable Management Services to the trusted, capable hands of MedPro Consulting. A powerful trend is gaining momentum in the healthcare field. 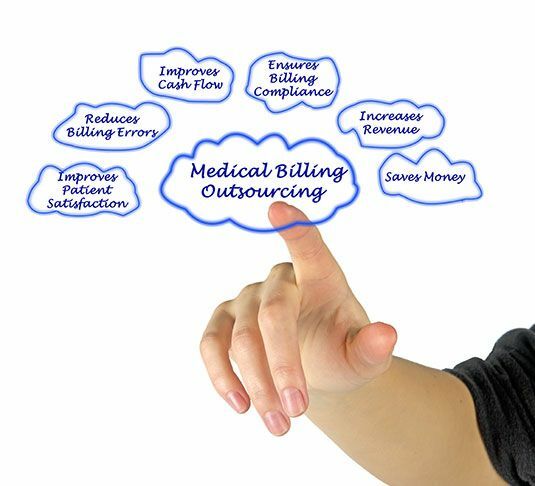 Medical offices, dental offices, nursing homes, assisted living facilities, and veterinarian offices are enjoying the many benefits of outsourcing their healthcare & medical accounts receivable management services to trusted A/R professionals like MedPro Con$ulting, LLC. We are a leading provider of technology to offer comprehensive merchant solutions. Whether you’re just starting out and need a merchant account with a credit card reader, or you’re expanding fast and need tools to manage your operations, we can help. Instead of hiring additional staff to perform collections and other A/R tasks, turn over these responsibilities to MedPro. We have over 30 years of experience improving cash-flow for medical practices while dramatically reducing their overhead. When you outsource services you don’t need to have in-house, you will run a more efficient practice that keeps employees motivated and patients satisfied. MedPro’s long history of proven results highlights dramatic decreases in accounts receivable problems. From better collection services to accounts receivable factoring, MedPro helps you access working capital sources year-round. When more patients are paying their bills promptly, you can take care of your obligations while protecting and/or improving your credit standing. From better collection services to accounts receivable factoring, MedPro Con$ulting helps you improve cash flow, manage revenue and access working capital to run your business. Whether you need us to clean up your growing database of aged accounts or help you restructure your revenue cycle, MedPro Con$ulting will help you improve your medical receivable services and strengthen your business. From confirming a medical claim is billed correctly, to posting paid claims, to appealing claims denied by insurance companies, MedPro Con$ulting handles every stage of the billing cycle. If unpaid medical invoices are causing major cash-flow problems and threatening the stability of your practice, bring in MedPro Con$ulting’s top-performing collections team to achieve superior results with our professionalism, insights, and friendly temperament. I have found Medpro Con$ulting to be a reliable, professional and timely billing and collection service. I would recommend them without reservation to accomplish your medical practice billing and collecting needs. End Your Cash-Flow Problems Now! If you and your medical staff are working hard, but still suffering from chronic cash flow problems, it’s time to talk to MedPro Con$ulting, LLC. We have helped hundreds of medical clients become cash-flow success stories. References are available upon request. Help is here so contact us online or call 718.305.1559 today! We find out why you are not getting paid and we fix it. From better medical collection services to accounts receivable management and consulting services, we help you improve cash flow, manage revenue and access working capital to run your business. Copyright © 2018 MedPro Con$ulting, LLC. All Rights Reserved.